On Wednesday, Kohl’s announced that it opened up the application process for its seasonal positions at over 300 of its more than 1,100 stores across the U.S. However, it is not looking for only workers for its holiday shopping season, but it is also hiring new staff for its rush during back to school days in August. The early push to attract talent has come as several retailers such as Macy’s, Target and Walmart amongst others are struggling in an attempt to find qualified workers in today’s tight labor market. The U.S. Department of Labor reported that the number of workers unemployed was less than the total job openings during April, which is the first for that since the department began collecting such data during 2000. Kohl’s executive vice president in human resources Ryan Festerling said the company was hiring its seasonal associates at an earlier time than it has ever done so to make sure the stores are completely staffed, trained as well as ready to support during the peak shopping periods. 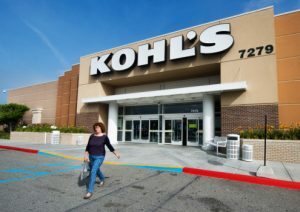 Kohl’s added that it would offer seasonal workers a competitive wage as well as a discount of 15% on purchases and special days for “associate shop” for other types of savings. In addition, it is offering its current employees an opportunity to increase their working hours. A retail consultancy group said that the move to increase staff at Kohl’s earlier than the norm is a huge change in how department stores are currently looking at employees. The consultancy group added that a store that is fully staffed combined with the proper training in retail sales is the best and most powerful way of differentiating the company particularly when competing against the online experience that is offered by Amazon. An industry analyst said that he has seen average sales increase by as much as 20% due to comprehensive training in retail sales. He added that hiring the best employees and training them to a high standard does not happen overnight, so Kohl’s has decided to start that important process early.